The committee was asked to examine the matter in 'light of the Model Code of Conduct' after the EC received a complaint from CPM general secretary Sitaram Yechury hours after the PM’s address Wednesday. The Election Commission (EC) Friday gave a clean chit to Prime Minister Narendra Modi for his address to the nation two days ago on the country’s successful anti-satellite missile test. As first reported by The Indian Express Thursday, Modi’s address was not found violative of the Model Code of Conduct (MCC) since official machinery — Doordarshan and All India Radio, in this case — wasn’t used for airing it. “It is clear that Doordarshan has only used the feed provided by ANI. The All India Radio has taken audio output as broadcast by Doordarshan News for dissemination over All India Radio network,” states the report of the five-member committee that was tasked by the EC to ensure that official machinery and government office were not misused to benefit the ruling party. The committee was asked to examine the matter in “light of the Model Code of Conduct” after the EC received a complaint from CPM general secretary Sitaram Yechury hours after the PM’s address Wednesday. “Such a mission (Mission Shakti) should normally be announced to the nation and to the world by the relevant scientific authorities like the DRDO. Instead, the Indian Prime Minister has taken the route of an address to the nation in making this announcement. This announcement comes in the midst of the ongoing election campaign where the Prime Minister himself is a candidate. This is clearly a violation of the Model Code of Conduct,” Yechury had written to the EC. The EC committee, headed by Deputy Election Commissioner Sandeep Saxena, did not dwell on whether the announcement could have been made by DRDO instead of the Prime Minister. The report also did not contain any observations on the contents of the speech. It focused on whether it violated provisions contained in Para (IV) of Part VII titled ‘Party in Power’, which states that the “issue of advertisement at the cost of public exchequer in the newspapers and other media and the misuse of official mass media during the election period for partisan coverage of political news and publicity regarding achievements with a view to furthering the prospects of the party in power shall be scrupulously avoided”. The committee held three meetings — in one, the Director General of Doordarshan and senior AIR officials were summoned to explain the source of their telecast. 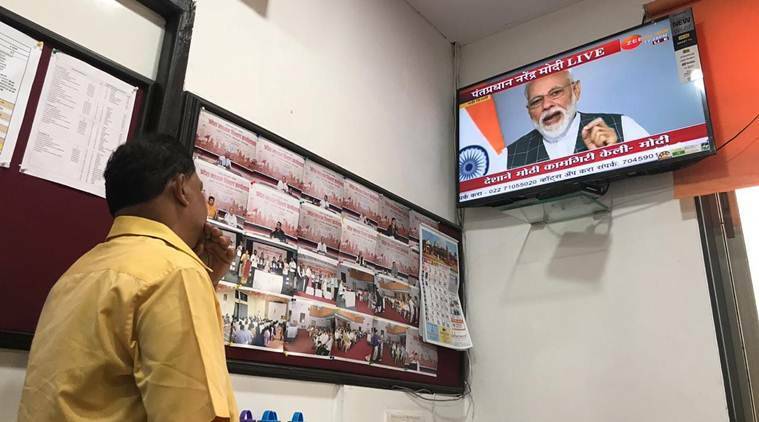 While Doordarshan stated its telecast wasn’t live but sourced from news agency ANI, AIR maintained that its source was the “playout” of the video received from ANI.